Which Facebook solution for your business? Profile, Page or Group? Profiles are for individual human beings, titled something like “Jane Doe”, “Steve Jackson”, “Barack Obama”. Pages are for companies, organizations, brands, and so on. Something like “Global Logistical Dynamics” or “Cynthia’s Cakes”. Not only will a Page prove more useful for your business, it’s kind of essential if you want a Facebook presence, because according to Facebook’s own Terms of Service, if you’re currently using a Profile for commercial gain, you’re in violation. But, not to worry if you are, because even though Facebook have started taking a hard line and are deleting some of these Profiles, you can quite easily convert a Profile used for business into a business Page. Just in case you’re panicking now that Facebook has a finger hovering over the delete button for your Profile, we’ll deal first with how to convert before getting into all the great reasons as to why it’s a good idea. When you convert your personal account to a Facebook page, Facebook automatically transfers all your friends and followers, changing them into “people who like your page”. Your account's username becomes the username for your page, and the name associated with your personal account becomes your page's name. If you want your page to have a different name, you have to create a new page. No other content is carried over to your new page, so you will have to save any important information before converting your account. You can download your information from your settings, found by clicking in the top right of any Facebook page. Then click “Download a copy of your Facebook data” in your General Account Settings. When you're ready to convert your personal account to a Facebook page, go to “Profile to Business Page Migration” and follow the simple directions. Phew! Now that’s done, we can look at just why a page is a far, far better option, anyway. Far better. In the early days of Facebook, early adopting businesses saw the potential of the fledgling social network and naturally launched a Profile. Over the years, businesses that have done so reaped significant dividends from this new way of connecting with customers. But these days a profile also communicates unprofessionalism, which can often be an instant turn-off for savvy potential clients. Why should they trust you enough to give you their business when you’re so obviously behind the curve? A strong reason why a Profile used for business can send many running for the hills is that when someone becomes interested in connecting, they must accept or send a friend request. Unfortunately, this simultaneously opens up their own personal Facebook Profile to that business – including photos and friends lists. This instantly creates a privacy issue. Expecting such a two-way flow of information with your customers is a sure fire way to send them in the opposite direction – they want to know about your business, not bare their souls to you. But unlike profiles, with a business page, interested parties merely have to click the “Like” button. Nobody has to become anybody’s “friend”. “Liking” simply subscribes them to updates from the business which then begin to appear in the subscriber’s News Feed, with no need to open up their profiles to prying eyes. Facebook Profiles also limit your reach, as they are limited to just 5,000 “friends”. Not so with Pages, which offer an unlimited like-based fan base. As a business Page, you won’t get the private data from the Profiles of your followers, but Facebook does provide you with masses of useful data about them, which can aid your business strategy. Facebook makes this function available when 30 people “Like” your page, so it is well within the reach of small businesses. This data is accessed from the “Insights” button, and it is incredibly useful for discovering how well your posts are received and how far they reach. Not only that, Insights provide detail on your fan base by age, gender, location, and how they came to land on your page. You can also see the number of users who saw a particular post, the number who clicked on the post, and the number who commented, liked or shared it. Insights are generated for each post you make on your page. Potentially, you can export reams of data that can help you better understand customers, what they like and don’t like, and even when they are online so you can better target your posts for maximum reach. If you want to grow your business, this kind of data is key. Both Pages and Facebook Groups offer Insights statistics. 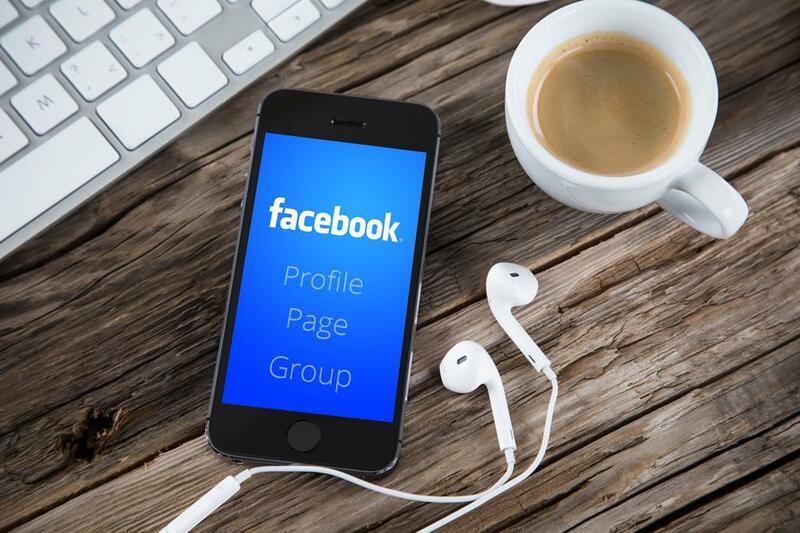 Facebook Groups are best for small group communication, facilitating connection around a common cause, issue or activity, to both discuss issues and share content. Groups can be made open for anyone to join or kept private, accessed via invitation only. Posts to a group also appear in the News Feeds of group members. Whoever administrates Groups can also directly message group members. But groups serve interest groups better than businesses and, as with Profiles, they are not publically accessible – you have to be a member to view them. By default, Profile privacy settings are set to make most of your data private. Pages on the other hand are a public resource so that customers and prospective customers are able to find them. Pages are completely open to search engines to access and index all your page data. Some still believe that they can actually reach more people via a Facebook Profile, suspecting that Pages are a means by which Facebook railroads businesses into buying advertising. This is because of the way Facebook displays your posts in the News Feeds of your followers. Facebook only includes your posts in News Feeds based on your followers’ particular interactions with your Page. This is because of Facebook’s algorithm, previously known as EdgeRank. Facebook does not simply relay all your posts to the news feeds of your followers. Far from it, in fact. But this delivery system for posts likewise applies to Profiles, as well as Pages. The thing is, with Profiles, you don’t even know how many of your “friends” you’re reaching with your posts. But with the Facebook Insights facility, available to Pages, you can breakdown all this data – and then do something about it. With Pages, you can reach more of your followers, and even reach friends of followers, via its Ad Manager feature. You can pay to promote your Page, boost your posts to reach more people, and create ads to target new customers and new followers. You can target your posts and ads to Facebook users who have very particular interests, and all for as little as a few dollars a day or even less. If you want to grow your business, Facebook advertising is a fantastic option for both small businesses and huge corporations alike. While paying for Facebook promotion is a great option, there’s still plenty you can do for free with Pages to boost your business. And it pays to do plenty – so post, post, and post again. Of course, there is a limit and you don’t want to bore or hassle your followers. This is where Insights comes in again, enabling you to gauge the best time of day or the best days to post in order to coincide with your audience. Posts containing just dry text can get lost in News Feeds that increasingly bulge with cute cats and wacky videos, so it’s worth trying to compete with all this by perhaps employing a little visual accompaniment of your own. Viral marketing has a life of its own, whereas dry, informational text dies on the vine. A recent feature launched by Facebook, called Graph Search, allows users to search by entering simple phrases into the search bar to attain specific results. For example, you can use search phrases such as “Friends who like Lord of the Rings and X Men”, “Photos of my friends taken in London”, “Single women nearby”. In order for new people to discover your business via Graph Search, you need a Page that people can “Like”, rather than a profile which people “friend”. Your business can then be found when people search things like “Cake shops nearby” or “Logistical dynamics companies my friends like”. You can add admin roles so that colleagues, employees or consultants can help administer your Facebook Page. These roles include editor, moderator and Insights analyst. You can also schedule content with Facebook Pages by simply clicking the small clock at the bottom of the posting box, allowing your posts to be timed to the minute. After 30 likes, you can personalize your Page with a custom username, e.g. “www.facebook.com/cynthiascakes”, rather than the inelegant “www.facebook.com/ 4766274649347”. You can also integrate your Page into your website and other social network profiles. Facebook provides the facility to add a “Like” box or an icon with a link to your Page, all made possible via their developers resource page.